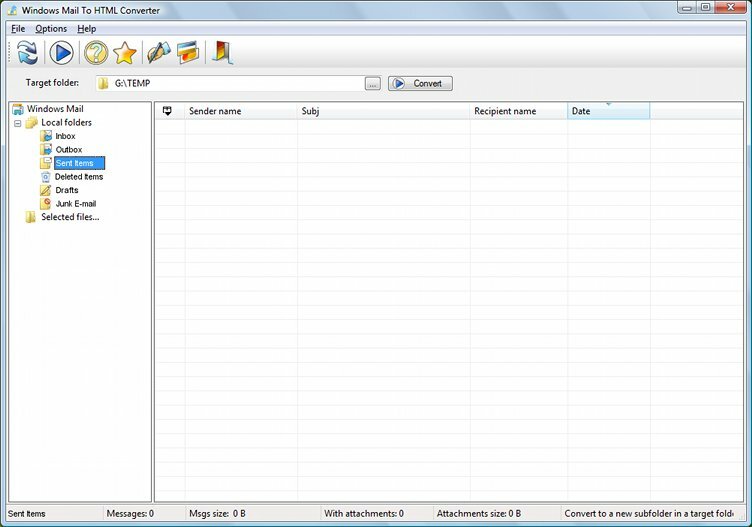 Windows Mail to HTML Converter is a small utility to let you export Windows Mail content, messages and attachments, into structured HTML archive files that can be viewed in any web browser. It is ideal as a backup solution for your mail when you need to re-install the Operating System, the mail client, or want to safeguard your correspondence against hardware crashes and software errors that can make the client's content inaccessible. ...... due to hardware failures or malicious code. Fortunately, EmailAdept.com has come up with a way to export your email messages to structured HTML archives along with attachments. Now export can be pretty much a snap! Qweas is providing links to Windows Mail to HTML Converter 1.1 as a courtesy, and makes no representations regarding Windows Mail to HTML Converter or any other applications or any information related thereto. Any questions, complaints or claims regarding this application Windows Mail to HTML Converter 1.1 must be directed to the appropriate software vendor. You may click the publisher link of Windows Mail to HTML Converter on the top of this page to get more details about the vendor.